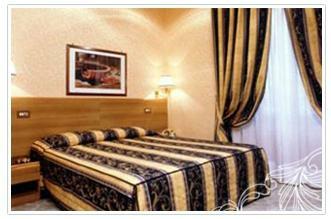 Hotel Amalia Vaticano, Rome. Amalia Vaticano Hotel Rome. Hotel Amalia Vaticano is a charming, cosy boutique hotel that is found in the heart of Rome, just steps away from the Vatican. It was opened in the year 1955, and was completely remodelled over the years to offer all modern amenities to a comfortable surroundings. Offering all comforts and services, the location is ideal making it easy to reach all the important attractions such as the Sistine Chapel, Saint Peters, Trastevere and Piazza di Spagna. On the inside of the hotel, our guests will enjoy services such as air conditioning, 24 hour reception, bilingual personnel, bar, satellite TV in every room and parking upon request at a fee.